Beautiful shot. 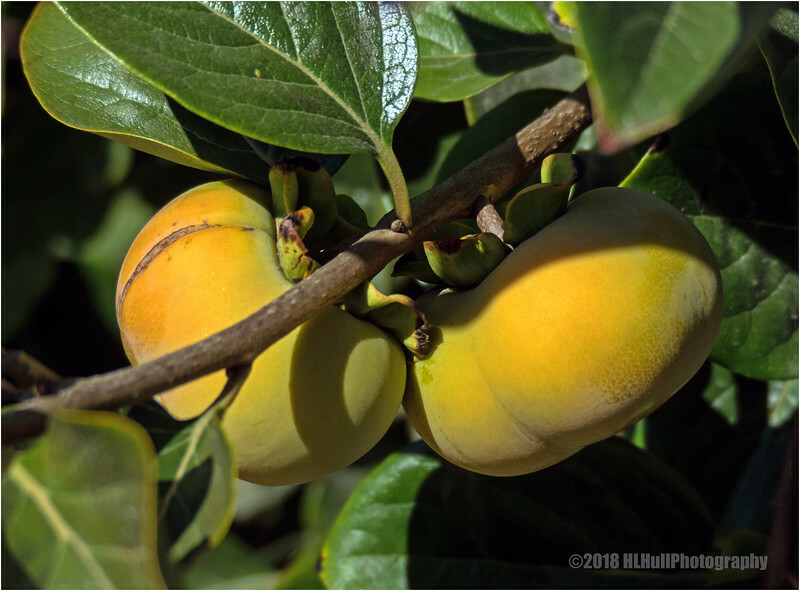 I've only ever seen trees of the American persimmon, Diospyros virginiana, whose fruits are much smaller and deeper orange. I like Persimmons. Great shot. Those that we had when I was kid were more red in color. I've never tasted persimmons, but these look plump, although slightly unripe!